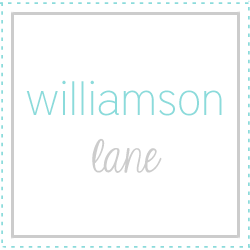 Williamson Lane: What's in a Name? That which we call a rose, by any other name would smell as sweet. Her middle name did take us quite a bit longer to decide on. We wanted something with some kind of significance. It was very important that the name flows well...and that it goes well with Williamson. (As an example, there are plenty of names that I think are very nice such as, Addison. However, I have issue (and this is just me personally) with a name like Addison Williamson.....-son -son. I don't like both names ending in -son.) All this is to say there were many things to consider...like a Type A mama! John really wanted a name of Scottish descent...given how close his family lineage is to Scotland. We have Scottish lineage on my side too, but his side is obviously much closer. We know that if we have a son, his middle name will be Cameron, like his daddy and Grandaddy. Taking in to consideration that is our plan, we thought it would be nice on some level for our little girl too. There were several names we discussed, some of Scottish descent, some not. Ansleigh we became stuck on pretty early on too, but wanted to give it time before we settled on it. Again, there was discussion of how Ansleigh would be spelled, and again I credit John with settling on our spelling. I do think it is so pretty. Now that you have the background, how about a little meaning, eh? 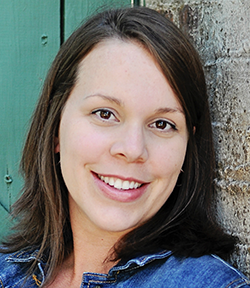 Karis is from the Greek transliteration charis, which means grace. This word for grace appears 156 times in Scripture. As I have looked this up in Strong's concordance they have a definition for grace under the outline for biblical usage...and I love it. I love everything about that. Our little girl does afford us joy, pleasure, delight, and sweetness....and we haven't even met her yet. These are all things we wish for her life. We also do consider it God's merciful kindness and so thankful that He would allow us the privilege of being Karis' mommy and daddy. More meaning behind the name Ansleigh is that it is a combination of Anne and Lee/Leigh. Anne is my middle name, as well as my mom's. It's also a first or middle name to several women in my family tree. Lee is a big family name on John's side...we actually have a couple of Lees on my side as well, but it is a big name on his side. We felt like it was a nice combination of several women from both sides of our family, all a part of our little girl's heritage.